MIAMI, Sporting Alert – It wasn’t easy, but free agent Dwyane Wade has informed the Chicago Bulls that he plans to sign wit them, ESPN, the Associated Press and multiple other sources are reporting Wednesday night. In fact, ESPN reported that Wade, who spent 13 seasons playing for the Miami Heat and won three titles, including two with LeBron James, reportedly said, although it was tough, he is confident he made the right choice. “Watching the Bulls growing up inspired me at an early age to pursue my dream of becoming a basketball player,” the AP report added. “My most treasured memories were watching my dad play basketball on the courts of Fermi Elementary School and developing my game at the Blue Island Recreation Center. The star shooting guard is set to return to play for his hometown Bulls, ESPN sources are saying on Wednesday night. 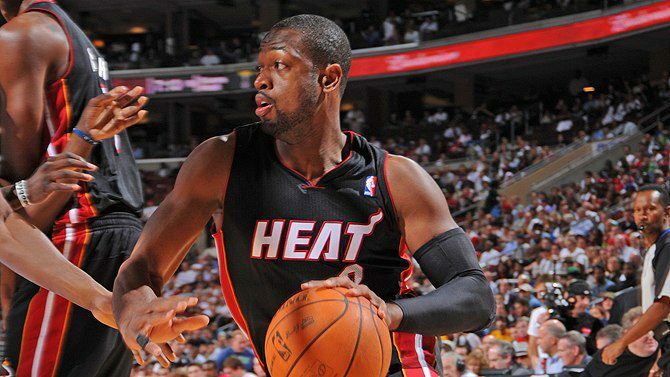 It is understood Wade and the Miami Heat failed to come to an agreement on a deal. According to the Associated Press, Wade has agreed to a two-year deal worth $47 million, three million less than what he was asking from Miami, which had offered the 34-year-old a two-year, $40 million deal. ESPN is reporting that the Bulls will clear cap space to accommodate for Wade by trading veteran point guard Jose Calderon to the LA Lakers and small forward Mike Dunleavy to the Cavaliers.